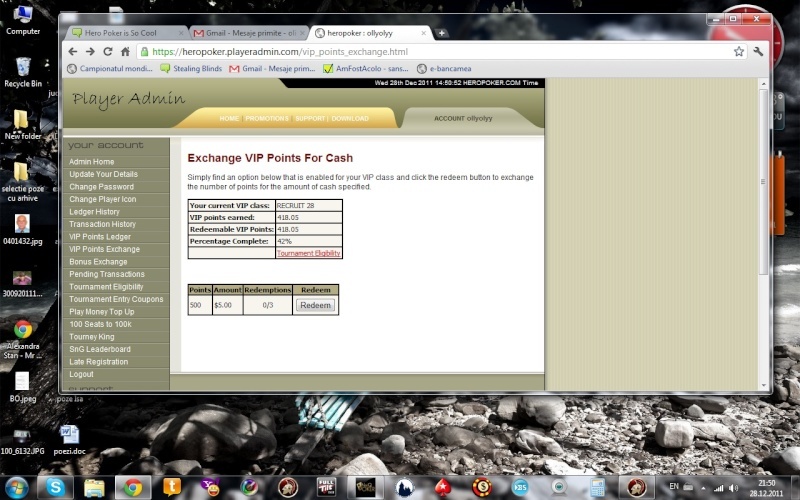 Whats this vip system? I thought they had the same 5 tier system as Lock and Carbon(im on carbon). I get rakeback so I dont get to use alot of the vip perks but I would consider switching to Hero if the vip system is cooler which it sounds like it may be. Its just so hard to talk myself out of rakeback though!!! i don;t remember what level it started at, but every level is about 100 points give or take (not to sure exacts) but every vip level i go up, they give me a coupon to play in an mtt. starts with the quarter quickie, then goes to fast fifty. rv says the next step is a 1.08 double up.